This red Kershaw Twocan 1001RD knife has two opposing blades that function as a pair of scissors and also cut independently. 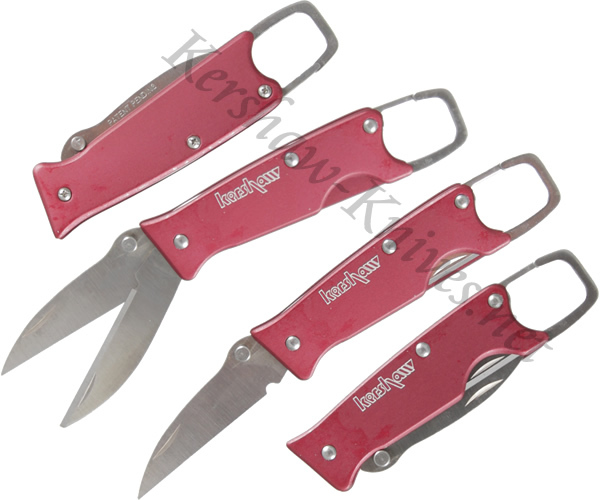 The red handle is made of anodized aluminum and the blade is made of 420J2 stainless steel. A carabiner sits on the end of the handle so you can easily hook this knife onto your gear.